It’s officially December 1st so today I had to talk about a Christmas movie! I love this movie for many reasons but one of them specifically is because it’s a period piece. I really enjoy well-made period pieces and if it’s Christmas related, even better! 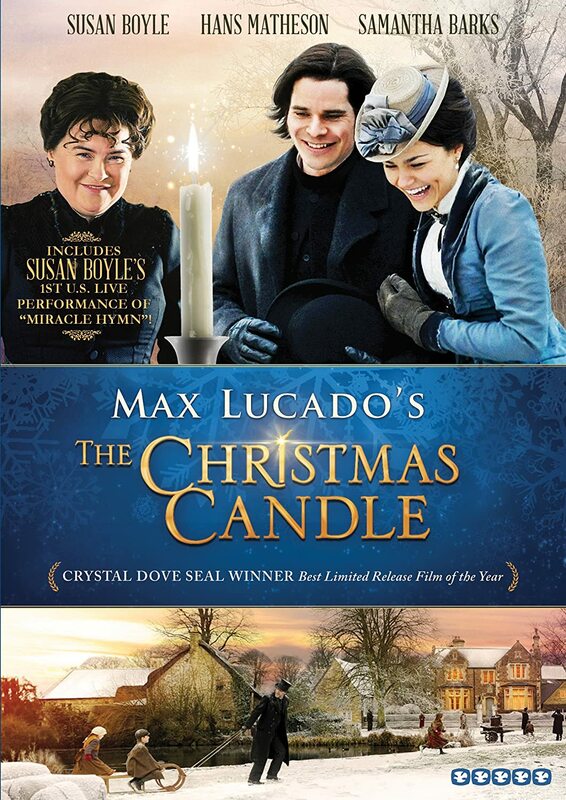 This film is inspired by the book of the same name written by famous author, Max Lucado. Another reason why I was excited to watch this movie was Samantha Barks, she plays Emily Barstow in the movie. I’ve seen other projects she’s been a part of and I believe she’s a great actress & performer. The Christmas Candle tells the story of a pastor who recently went through a personal loss and accepts a post in a little town where everyone believes in a Christmas candle that offers miracles, a belief he plans on extinguishing. The story is set in the 1890’s in English soil, in Gladbury to be exact. The town seems to have been frozen in time since it has been exactly the same for centuries. The town’s residents have been going through some difficult times and are struggling to have everything needed to keep going forward. Maybe this is the reason why an angel has visited this quaint town every twenty-five years for centuries now to give the people of Gladbury some hope to look forward to. The angel makes it’s way into town right before Christmas and heads to the candlemaker’s shop where it touches a newly-made candle and converts it into a miraculous gift given to a special person who has the honor of lighting it. Now it is only the candlemaker’s responsibility to pick who of all the people of Gladbury is the most in grave need of a miracle. When the person had been selected, all he or she had to do was light the candle and pray for the miracle and it would come to pass. But now Edward Haddington, the candlemaker, trips over the candle rack and gathers some candles in his hand and hides the individuality of the divine candle. Now Rev. 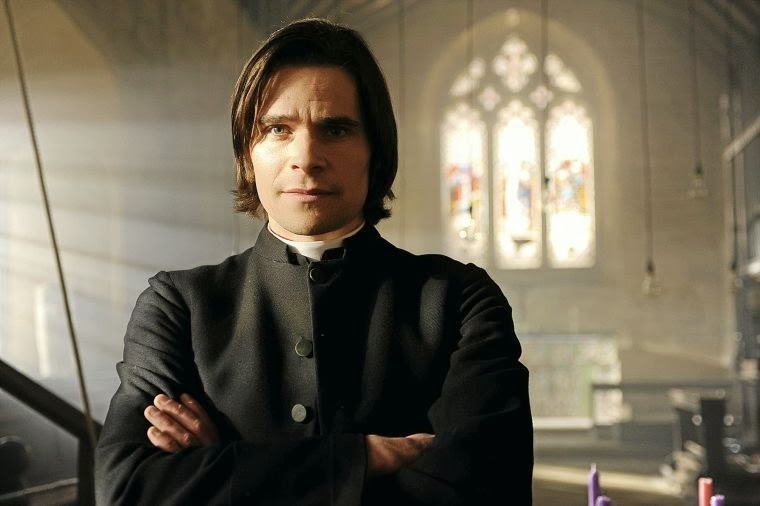 David Richmond from The Christmas Candle, a young pastor, has newly arrived at the town because of his new position as Pastor of Gladbury’s church. He is a person who truly believes in having faith in God’s work is what truly brings salvation and hope, not faith invested in the belief of miracles only. Also new to the town is electricity, which begins to fade that belief in miracles in the people of Gladbury. Before arriving in Gladsbury, Rev. Richmond had left preaching because of suffering a tragic loss and instead preferred to work in the Salvation Army helping others. He was trying to settle his own salvation by serving other people’s needs. But he’s suddenly approached and hired by Lady Camdon, one of Gladbury’s contributors, to be the one to lead their church in town. Quite hesitant, Rev. Richmond is sure he wouldn’t do pastoral services again but Lady Camdon won’t take no for an answer as she’s sure that he was going to stand in front of a pulpit and preach again. The people of Gladbury aren’t used to be of service to others and have that selfless spirit so they’ve depended on that glowing miracle candle every 25 years sort of like a superstition. Because of this Rev. Richmond has it in his plans to take his congregation to realize that their constant faith on The Christmas Candle is inhibiting their faith in God himself to grow and develop. Pastor David’s sermons encourage and present a challenge to the people of the town to put their trust and faith only on Jesus, not in expected miracles that they’ve known always that The Christmas Candle would bring. David also teaches them that they themselves can be used by God to become somebody’s miracle through loving them and being of service to them as well. Not leaving out that it was important to have faith but also that faith required action. The Christmas Candle serves as a great reminder to ignite that faith and put it into action as well. A reminder that the Lord has never ceased to answer prayers and performing miracles. That instead of waiting 25 years like the people of Gladbury to pray and have a miracle, God is always there 24/7 to hear your needs and help along the way.